Silver Package: Our most budget friendly sealing package that includes a 6 month warranty. Gold Package: Our middle of the road sealing package that includes a 12 month warranty. Platinum Package: Our most popular restoration package. The Platinum level comes with a 3 year warranty! 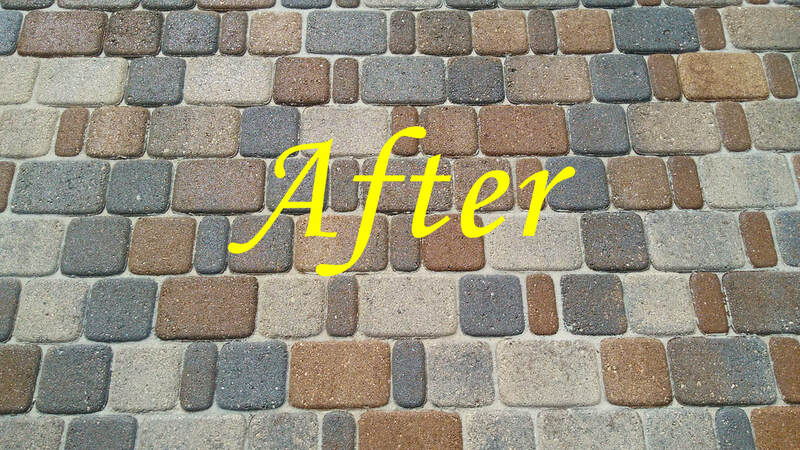 Call now to schedule a free consultation and learn more about our paver sealing packages! We completely understand that everybody has different priorities and different budgets. For that reason, we created multiple different paver sealant packages so that everyone who wants to work with us has the opportunity. Our hope in doing this is that homeowners will stop making the huge mistake of hiring un-licensed contractors, painters, handymen, pressure washers, etc. in an effort to save money and instead will go direct to hard surface restoration professionals. On a weekly basis we meet with homeowners who have made this mistake in the past. Unfortunately, these contractors have no idea what they're doing and fixing the problem ends up costing the homeowner more to resolve the issue than if they had hired us in the beginning. Check out the before and after photos below. 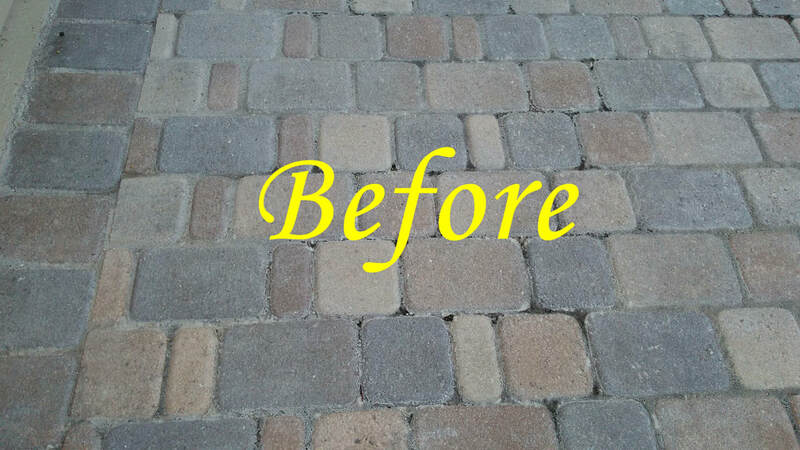 This is the perfect example of why you should NEVER hire a contractor that is not a paver restoration specialist. Unfortunately, in an attempt to save some money, these homeowners hired their handyman to seal the pavers in their courtyard. He charged them $600 for his service. As you can see from the before picture, the results were horrendous! Not only did he use a cheap, store-bought, solvent based sealer, he also chose to use polymeric sand between the paver joints and left a ton of it on the surface of the pavers too. We see this all the time; a contractor that thinks he can do everything. The jack-of-all-trades, because he saw it done once on HGTV. This is the type of contractor that once he's done destroying your brick courtyard, he'll also install a ceiling fan for you, paint your bathroom or replace some shingles. It should come as no surprise that this handyman offered no warranty on his work and of course did not return phone calls from the homeowner. This is unbelievably common in Florida and I warn homeowners about these contractors all the time. If this homeowner would have hired us originally to clean and seal their pavers the proper way, we would have charged them $700. $100 more than what their handyman charged them. Their bill to repair and restore these pavers was $2,100. Our process included stripping the existing sealer off, removing all the polymeric sand from the joints and surfaces, cleaning, re-sanding and then applying 3 coats of a commercial grade, water based sealant. It's a very labor-intensive and expensive process. Unfortunately, this homeowners attempt to save $100 ended up costing them $2,000 more in the long run. When we were done, the homeowners were beyond ecstatic. They wrote an amazing review for us on Google and referred us to multiple friends and neighbors. I can't stress this enough: Hire a paver restoration specialist! Have the job done the right way, the first time, and avoid the headaches of dealing with handymen, pressure washers and painters. We're here to help! Please call us with any questions you may have. 941-444-9607 To learn more about how to choose the right contractor, click here.